Micro Four Thirds Digital Interchangeable Lens. 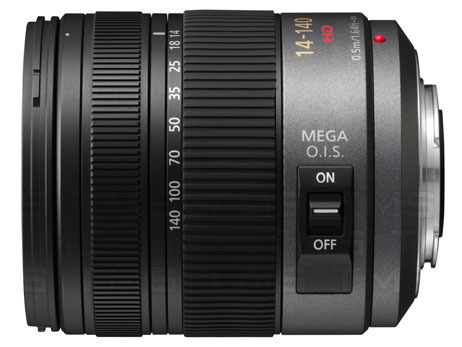 LUMIX G VARIO HD 14-140mm/F4.0-5.8 ASPH./MEGA O.I.S. with Silent Design for HD Movie Recording. The LUMIX G lens incorporates an inner focus direct-drive linear motor for focusing, which enables smooth, silent operation of its fast and accurate contrast AF system, for use in both photo and movie recording. Adopting the Micro Four Thirds System standard, the new lens offers a wide and long zoom range of 14-140mm (35mm camera equivalent: 28-280mm) to suit a large variety of shooting situations, from scenery to portraits or telephoto shots, in a surprisingly compact and lightweight body. Seven blades give the aperture a rounded shape that produces an attractively smooth effect in out-of-focus areas when shooting at larger aperture settings. 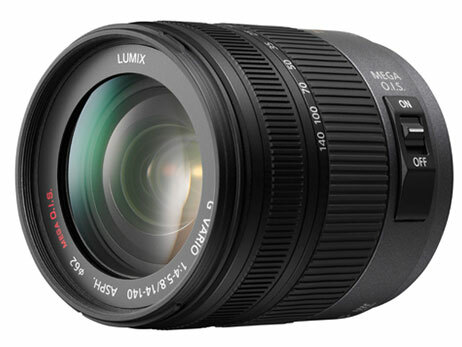 The LUMIX G VARIO HD 14-140mm/F4.0-5.8 ASPH./MEGA O.I.S. lens also features a highly reliable metal mount, and uses multi-coated lens elements that minimize ghosts and flare to further enhance its optical performance.